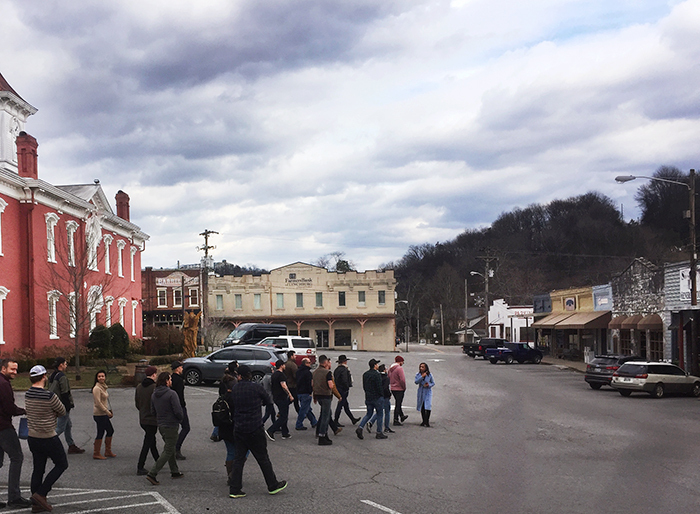 As owners of Dogwood Tavern, we were recently invited by the new whiskey brand Uncle Nearest 1856 to go to Tennessee to attend the Founder’s Tour and learn more about the history behind the premium whiskey, Uncle Nearest, in the town of Lynchburg Tennessee. So co-owner, Chad Ratliff, hopped on a few flights a made it just in time. 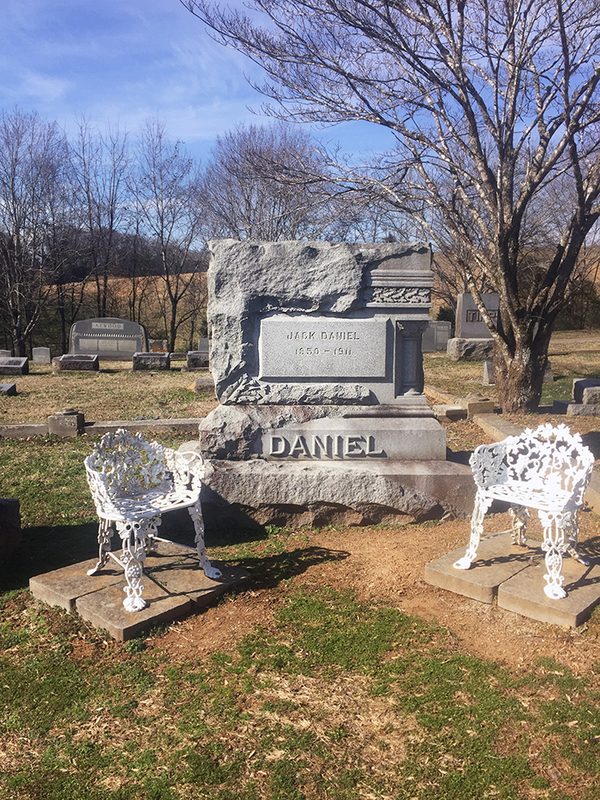 The tour included stops at Dan Call Farm, Miss Mary Bobo’s Boarding House, Farmer’s Bank/Downtown Lynchburg, Highview Cemetery/Lynchburg Cemetery, Barrel House BBQ, Nearest Green Distillery at Sand Creek Farms. You can learn more about the Founder’s Tour locations here. All of the photos below were taken by Chad while on the tour in Tennessee. Nathan “Nearest” Green (aka Uncle Nearest) was the first African-American master distiller on record in the United States who not only perfected Tennessee Whiskey, but also, and maybe more importantly, taught Jack Daniel (aka Jack Daniel’s) everything he knew about whiskey. Unfortunately, aside from the Green family and a whisper around town, no-one really had any clue about this hidden history where Nathan Green and Jack Daniel first began distilling whiskey together until Fawn Weaver uncovered it and brought their true story to life. From the NY Times: According to Ms. Weaver, Green was rented out by his owners, a firm called Landis & Green, to farmers around Lynchburg, including Dan Call, a wealthy landowner and preacher who also employed a teenager named Jack Daniel to help make whiskey. Green, already adept at distilling, took Daniel under his wing and, after the Civil War and the end of slavery, went to work for him in his fledgling whiskey operation. Best-selling author and TEDx alum, Fawn Weaver (seen above leading the Founder’s Tour), created and launched Uncle Nearest 1856 Whiskey to honor and pay tribute to the legacy and craft of the best whiskey maker the world never knew, Nathan “Nearest” Green. Fawn wrote the forward in the book “Jack Daniel’s Legacy” by Ben A. Green and now has the rights to Green’s biography and is writing a book honoring his life. Apparently, Jack and Nathan were close friends. The Dan Call Farm (above), which Fawn is carefully restoring, and the surrounding 313 acre property (below) which were used by Green and Daniel, including a beautiful natural running spring, along with a peek inside the house… the old wooden walls are marked with brand burns for D.H. Call whiskey… the peeling wallpaper reveals newspaper from 1898 which they used as insulation during that era. Currently under renovation, the Uncle Nearest distillery in Sand Creek Farms, an historic Tennessee walking horse farm (shown below). It was such an honor to get a peek inside this hidden historical treasure as well as help the brand share their story with their amazing Uncle Nearest Whiskey. Uncle Nearest recently launched their first commercial which aired right after the Super Bowl… Watch it below. Have you tried Uncle Nearest Whiskey yet? Follow @dogwood_tavern on Instgarm for a fun Uncle Nearest giveaway coming this week!